It’s freezing here in San Francisco, so you know what that means: It’s time for the Steam Summer Sale again. Of course, maybe you already knew that: It’s the first day of summer after all, and oh yeah, the Steam Database Twitter account leaked the date. Regardless, it’s here, and bringing with it the usual tide of discounts. Remember of course that this is a “New Era” Steam Sale, meaning no Daily Deals, Flash Sales, or any of the other fun stuff. Then again, you probably know that already, because the “New Era” is itself something like three years old at this point. Still there are some decent deals hidden among the ever-increasing piles of chaff that fill Steam these days. 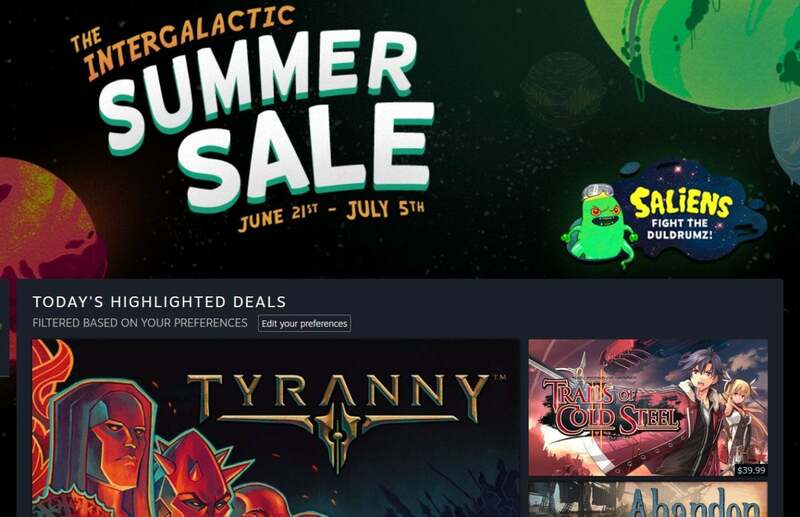 Right on the front page you’ve got Tyranny for $15 and Thimbleweed Park for $12, both pretty great sale prices for games that are still relatively new. The hardware deals return too, with the Steam Link discounted to a mere $2.50. Yes, two dollars and fifty cents. The price of a soda here in San Francisco. The standalone Steam Link might not seem as important now that Valve lets you stream to your phone and other Android devices, but it's cheap and features an Ethernet port. That’s enough to make it the obvious choice still for TV users, I think. And hey, the Steam Controller is down to $34 if you still don’t have one, though obviously that's not nearly as huge a discount. 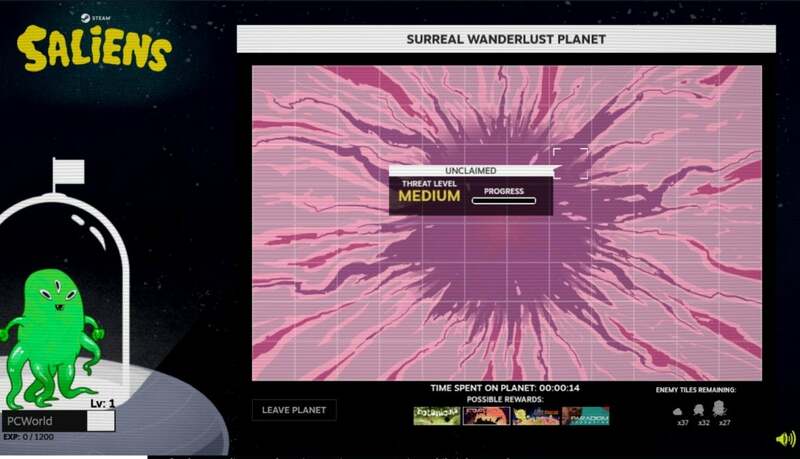 Best of all, though: Valve actually built out a game for the sale again. This year’s theme is “The Intergalactic Summer Sale” and while there’s the usual trading card bonanza, there’s also a game called “Saliens” that looks like it pits various games against each other? I say “looks like” because I literally can’t get it to load at the moment without crashing, but it’s the first ambitious sale meta-game I’ve seen Valve attempt in a while, so that’s nice. We’ll be bringing you a list of more obscure Steam Sale deals later this week as always, but for now? Enjoy. If it’s your first Steam sale, welcome to PC gaming and try not to build up too huge of a backlog. If you’ve been doing this for a while, then you’re probably thinking, “ugh, Steam Sales used to be so much better,” and you’d be right. But they’re still pretty cool.